Fixed & Tracker Low Rate Mortgages & Remortgages. 2 Year Fixed Mortgage Just 1.34% Initial Rate. Mortgages £25,000 To £1 Million & Free Confidential Quotes. Help For Employed Or Self Employed & Up To 95% LTV. If you are looking for a low cost mortgage or remortgage plan, a long term fixed rate, a cheaper deal on your current mortgage or simply wish to utilise some of your equity to spend as you wish through a remortgage - then First Choice Finance may have just the solution for you. There is no substitute for experience and we have been established for over 25 years, having already arranged over £1 Billion in mortgages for our clients from across the UK. Right now there are some of the lowest 5 year mortgage and remortgage deals we have ever seen. Through having an extensive panel of established mortgage lenders and our own dedicated UK based mortgage team we arrange some of the lowest rate mortgages from a wide selection of mortgages - in fact some of the loan to values and rates we can access are only available through a limited number of mortgage companies. Taking out a mortgage is a decision that should not be rushed and that is why our mortgage team will give you a free personal quotation without any obligation whatsoever. That way you can see all the facts and figures first then decide in your own time whether to go ahead. Use our short on line enquiry form or call our mortgage team for free on 0800 298 3000 alternatively dial 0333 003 1505 (mobile friendly) and find out how low your payments could be. That is not all, our longevity has enabled us to build strong relations with specialist mortgage lenders who do not deal with the public directly. This means we may still able to arrange the best mortgage or remortgage from our lenders and help you even if your individual needs and requirements are a little more complex. We understand that a mortgage or remortgage is a major financial commitment involving significant sums of money. Therefore making the commitment to obtain the lowest plan available for your specific goals can make a difference of tens of thousands of pounds over the following years. Credit History - If you have a good record of paying back your existing debts then this may reduce the cost of your mortgage. That being said there are lenders who we have access to that specialise in helping people who have been unfortunate enough to have some missed credit payments. It is also worth noting that some of our very best plans ignore older defaults or arrears from a while ago, so you may not actually be seen as having any adverse credit at all. Employment Details - If you are employed and receive a regular salary then this aids towards affordability and may improve the mortgage your are offered. Also if you are married or cohabiting then you may have more borrowing options available if you apply jointly. Fortunately due to our longevity in the mortgage market we have established access to plenty of lenders who also value self employed customers and have excellent rates available for them too, but some of these do not always deal directly with the public. For a personalised mortgage illustration please enquire online via our short form or give us a call on 0800 298 3000 (on a landline) / 0333 0031505 (from a mobile) , then one of our qualified experienced mortgage advisers will search to find a mortgage plan that best suits your requirements. Our mortgage advisers will also be happy to answer any questions you may have along the way and our processing team will fully support and guide you through the mortgage process from start to finish. Do you Offer Any Purpose Remortgages? Low Rate Remortgages - If you are looking for a cheap remortgage then first choice finance will help you through the remortgaging process from start to finish. People remortgage with us for a variety of reasons, sometimes it is just to look for a better rate to get their payments down, or it is to borrow some funds for some overdue home improvements, alternatively it can be to get on top of other credit commitments which are starting to pressurise you - by opting for a debt consolidation remortgage. 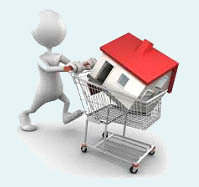 As with our home mover or purchase mortgage customer journey all quotes will be provided for free and you will not be under any obligation to proceed.